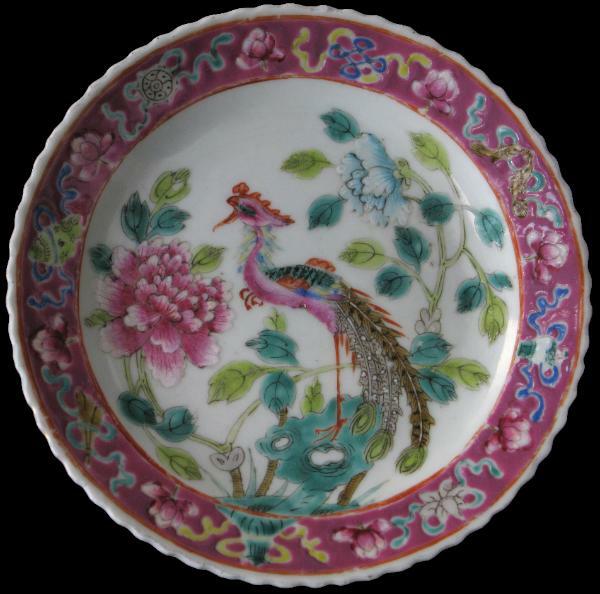 The plate is enamelled with a phoenix perched on ornamental rockwork beside pink and blue peonies, framed by a pink-ground border of lotus and Buddhistic emblems. 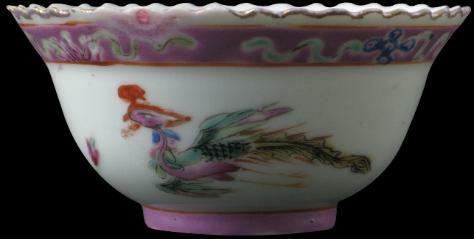 It has a scalloped, gilded rim. 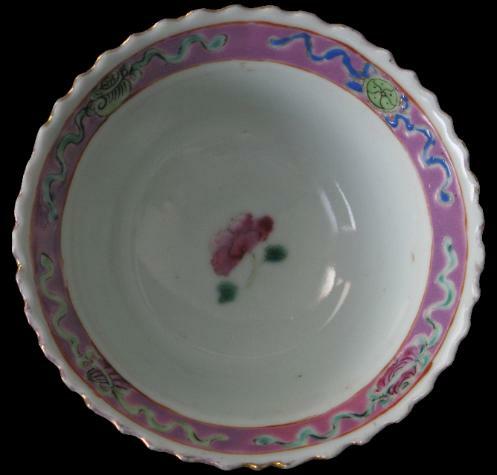 The is decorated with detached floral sprigs. 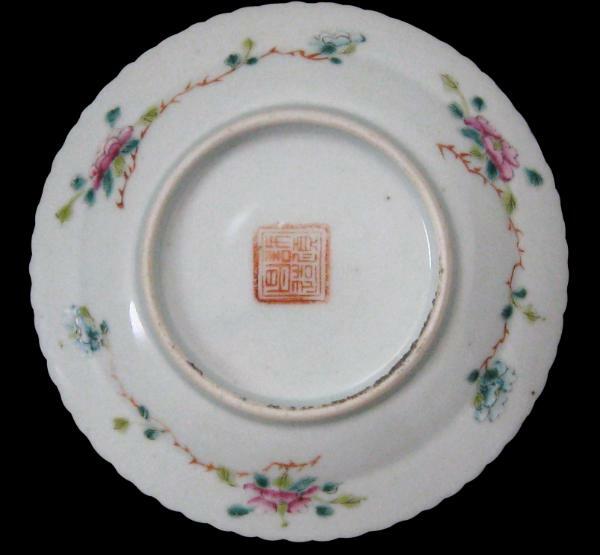 The plate has the mark for ‘Xushunchang zao’. 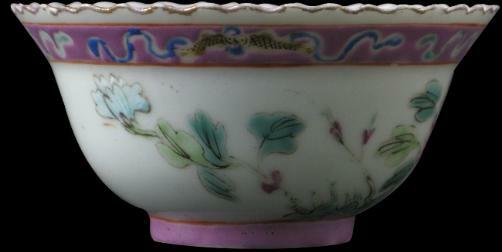 Overall condition is very good; there is the usual loss to the gilding along the scalloped edge. 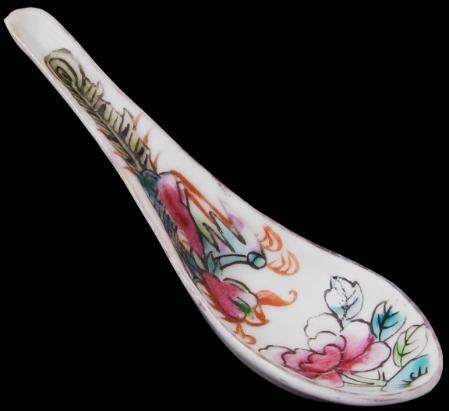 This fine, slender spoon is decorated with a peony and a phoenix. There is no factory or shop mark. 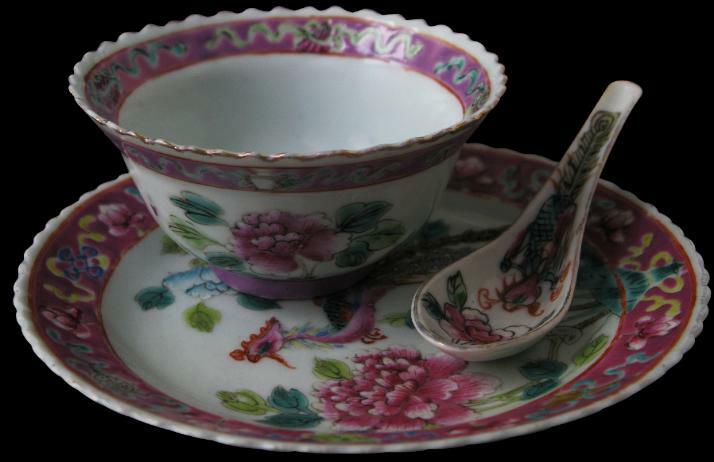 The Southeast Asian Ceramics Society – West Malaysia Chapter, Nonya Ware and Kitchen Ch’ing, Oxford University Press, 1981; Ho, W.M., Straits Chinese Porcelain: A Collector’s Guide, Times Books International, 1983; Kee, M.Y., Straits Chinese Porcelain, Kee Ming Yuet Sdn Bhd, 2004; Ee, R., et al, Peranakan Museum A-Z Guide, Asian Civilisations Museum, 2008; and Kee, M.Y., Peranakan Porcelain: Vibrant Festive Ware of the Straits Chinese, Tuttle Publishing, 2009. 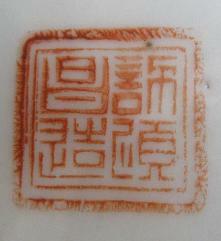 Factory mark to the base of the bowl. 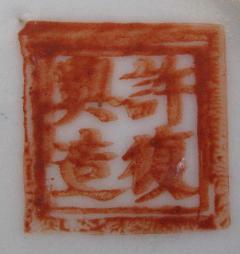 Factory mark to the base of the plate.